The government’s recapitalisation plan can give a big push to the anaemic credit growth in the system, as banks now will have enough money to take care of their stressed loans as well as to support green shoots of recovery in certain pockets in the industrial sector. The finance ministry on Tuesday said it will issue Rs 1.35 lakh crore of recapitalisation bonds to banks and another Rs 76,000 crore will be infused through budgetary support and market borrowings. The plan is to infuse Rs 2.11 lakh crore over two financial years, 2017-18 and 2018-19. It is expected that banks will subscribe to these recapitalisation bonds, and give the money to the government, which in turn will put the money back in banks as equity. State Bank of India Chairman Rajnish Kumar said the move will have “cascading effects for lot of related sectors”. United Bank of India chief executive officer (CEO) and managing director (MD) Pawan Kumar Bajaj said helped by the capital, banks will be able to plan strategies for the retail and SME (small and medium enterprises) sectors. Indian Overseas Bank CEO and MD R Subramaniakumar said banks can now meet prudential norms effectively and the capital will help in expanding credit. Analysts and economists also gave an emphatic thumbs up to the recapitalisation plan. Year-on-year credit growth in the banking system fell below five per cent last year as banks refused to expand their books for want of capital and fearing more bad debt may pile up. Even now, yearly credit growth is barely seven per cent. That may change now. “Maybe recapitalisation will do the trick, which has not been happening in the banking system for the past 10 quarters. We may start seeing banks lending again,” said Tirthankar Patnaik, India Strategist at Mizuho Bank at an event organised by the International Monetary Fund and National Stock Exchange. According to Vaibhav Agarwal, head of research at Angel Broking, there are some green shoots of recovery in the corporate space and banks will get an incentive to nurture them further through timely credit boost. “Demand has started to come back. Of course, sectors like power will take some time to recover, but sectors such as chemicals and housing are recovering fast,” said Agarwal. “The revival of the housing sector itself can have a cascading effect for other sectors such as construction and steel. Housing, coupled with attractive government incentives, has the power to move the entire economy and banks should go after this space aggressively,” he said. 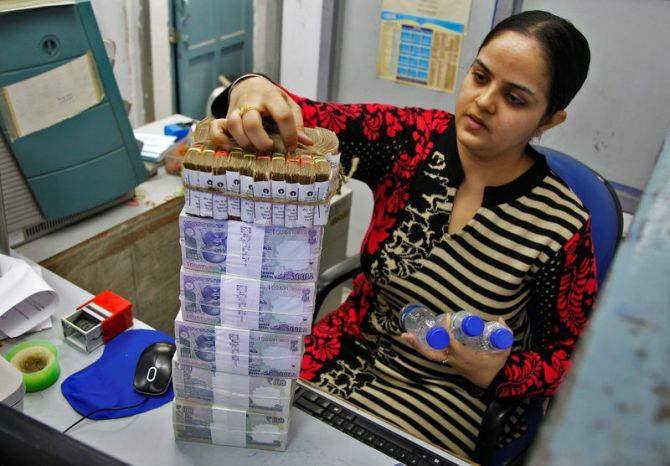 However, the perennial issue of asset resolution will continue to haunt banks, and analysts say the promised money would be just enough to provide for nearly Rs 10 lakh crore of stressed assets on banks’ books. Various analysts had pegged the need for capital at close to Rs 2 lakh crore to take care of stressed assets on banks’ books. According to Ashvin Parekh, senior financial consultant, the recapitalising exercise is a signal to banks not to sell stressed assets in a hurry as the prices of these assets will rise as economic conditions revive. “This is an acceptance that the resolution process under the insolvency code is not progressing as was expected. By recapitalising, the government is ensuring that banks hold on to the assets for an opportune time instead of incurring huge haircuts in fire sales,” said Parekh. In the first case of insolvency resolution, creditors had to take a 95 per cent haircut on assets of Synergies Dooray. Even by conservative estimates, banks may have to take 40-75 per cent haircuts on hurried resolution of distressed companies, say analysts. In the absence of healthy credit demand, banks now maintain 13-14 percentage points above their minimum bond holding requirement. If credit demand rises, banks will have no incentive to keep this level of excess bonds, said Soumyajit Niyogi, associate director at India Ratings and Research. According to Karthik Srinivasan, group head - financial sector ratings, ICRA, the bonds would likely to be liquidity non-disruptive and hence have minimal impact on the liquidity conditions and the market yields. Which country has the world's 'most powerful' passport?